Brian says that Twitter is like a “character” in this novel. Talk about how social media has changed the way ordinary people – and the police – react to violent incidents (for good and for bad). Dawn Basch is the catalyst for much of the unrest in the novel. How do we balance her “no exceptions” approach to the First Amendment with respect for other people’s heartfelt religious and cultural beliefs? Do you have any sympathy for Basch? MARATHON revolves around a false accusation that upends an innocent person’s life. Would the story have played out differently ten years ago? How do you think a story like this will play out ten years from now? Why was Michael Malville so focused on identifying a suspect in the bombing? Would you have tweeted out the photo if you were absolutely convinced you’d identified the bomber? Why or why not? Discuss the tragic journey of Khan Rashid in this novel. He was innocent, but did he make mistakes of his own? Where do you think Khan goes from here? Because of the events in Boston, were the police and FBI in this novel too quick to make assumptions about the motivation behind the bombing? What about someone like Gayle Durkin, who lost a family member to terrorism? Does the 24/7 news cycle encourage a rush to judgment? Brian deliberately contrasts the dramatic, violent events of the novel with the more intimate family drama between Serena and Cat. Why is their story so important here? There is a moment of healing between Michael Malville and Khan Rashid at the end of the novel. How did you react to this scene? How do you think both men have been changed by their experiences? If you could sit down with one of the characters in this book, who would it be? What would you ask them? 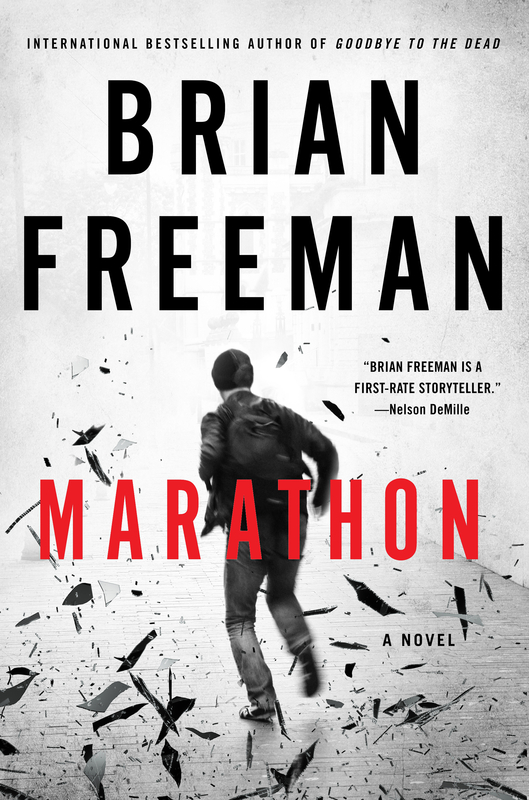 Compare MARATHON to Brian’s earlier Jonathan Stride novels. How have the books evolved? How has Stride changed as a hero? What about his partner Maggie? Brian first introduced the characters of Michael and Alison Malville in his short story “Spitting Devil.” Why do you think Brian chose to bring these characters back in MARATHON? The last line of the prologue is, “You can only stop hatred.” Can hatred be stopped? How do we try to do so?